Can anything really beat the achievement of conquering a high, alpine pass or the thrill of soaring along a scenic downhill? We think not…although the first sip of celebratory sauvignon in the pub later might come a close second! Natural High was established in 1996 in Nelson, before relocating to Christchurch in 2005. The following year, Andrew Hunt rode into the picture and bought Natural High in 2006. In 2011, Andy and his team took Natural High to the North Island, opening the Auckland branch of the business. 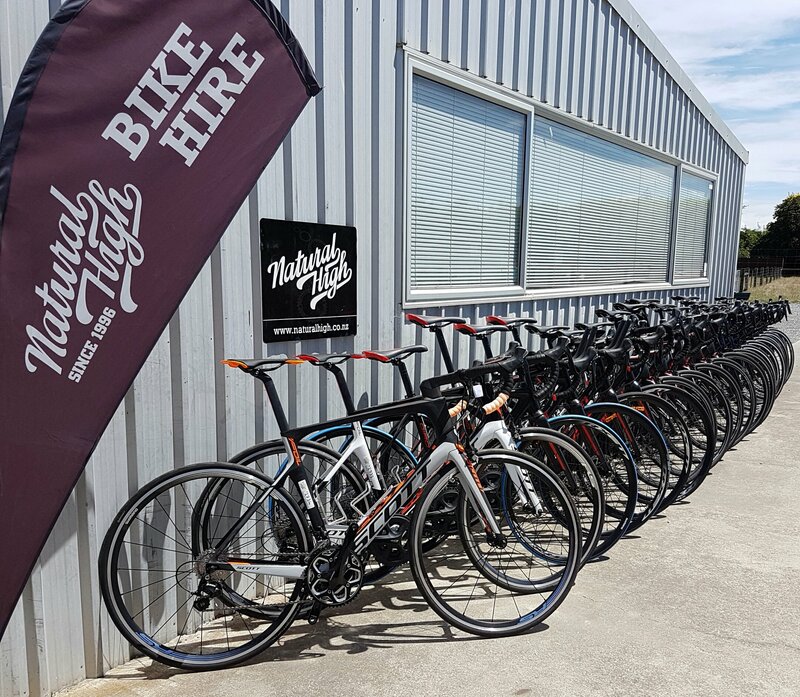 With additional depots in Taupo, Rotorua, Wellington, Nelson, Blenheim, Queenstown, Dunedin and Invercargill, Natural High now offers the largest and best selection of bike rental in New Zealand, a growing range of self-guided and guided cycle tours, as well as campervan rental. Andy sold the business in May 2016 and Natural High’s current owners are Steve and Cecileah Inns, who live in Christchurch with their three young children. Steve has always been passionate about mountain biking, and bought his first mountain bike in 1996 (the same year Natural High was born). He’s competed in many events over the years, including the Rainbow Rage, the Pass to Pub, the Caveman, the Hanmer Hammerhead, the Run 79 Lake Tekapo MTB Pursuit and the Motatapu, which takes place every year in the Wanaka to Queenstown high country. Home town: Christchurch, New Zealand. 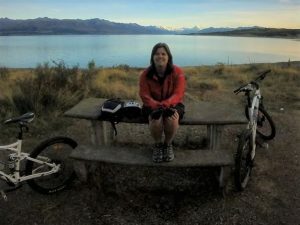 Favourite New Zealand ride: I’m always in search of my next new favourite ride. Enjoying every opportunity I can get to take in the views and fresh air trying to find it. Best spot for after-biking drinks: I’m content relaxing with a coffee or a cold ginger beer wherever the ride ends! 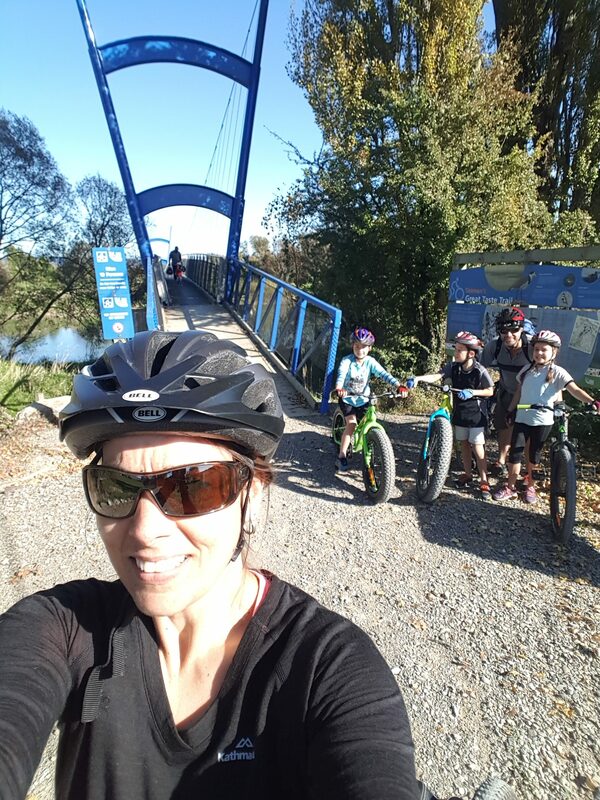 What do you do when not riding: Spend quality family time with my wife and three kids, walking, tramping, exploring and boating at Lake Kaniere on the South Island’s West Coast when we get the chance. Job title: Auckland Branch Manager. Home town: Auckland, New Zealand. Favourite New Zealand ride: Heaphy Track. 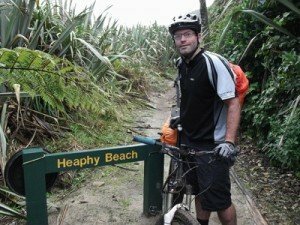 First multi-day MTB ride I ever did; stunning and diverse scenery in a unique part of the country and it’s an awesome track for riding. Best spot for after-biking drinks: Beers in the car park straight after the ride. Or if riding Hunua, south of Auckland, drive around to the Hunua Falls after the ride. What do you do when not riding: Hang out with my son, read. Home town: Tavistock, Devon, UK. 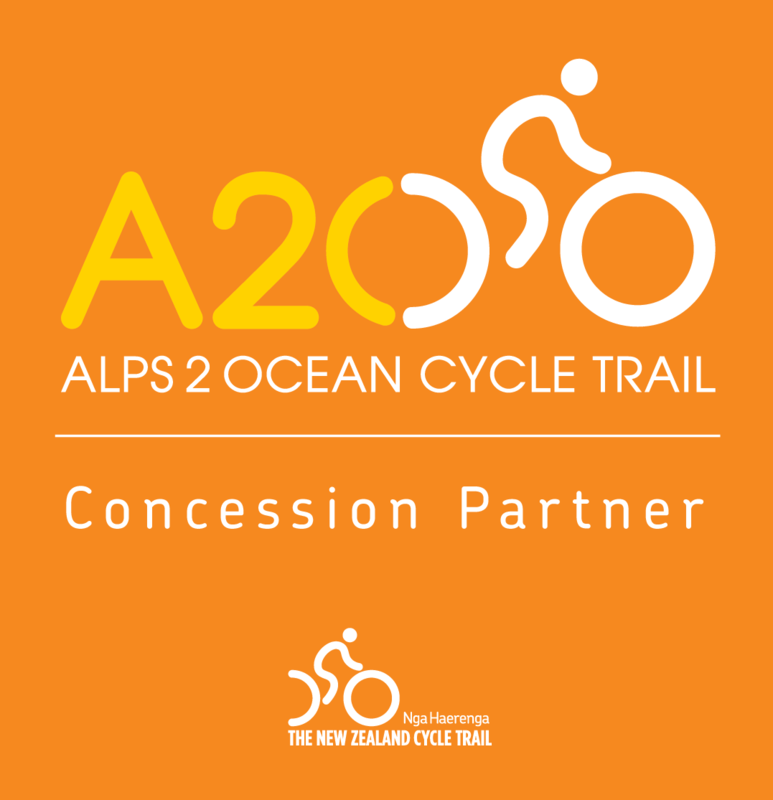 Favourite New Zealand ride: Alps to Ocean for the scenery and Queen Charlotte for the challenge! Best spot for after-biking drinks: Pomeroys in Christchurch, The Honest Lawyer in Nelson. What do you do when not riding: Tennis, tramping, gym, gardening and enjoying a good coffee with mates – recommend C4 in Christchurch for a great coffee. Best spot for after-biking drinks: Anywhere really that has good coffee ……. and carrot cake. What do you do when not riding: Gym, run, work, hang out with the Natural High Team Captain and our three children – they keep me busy! 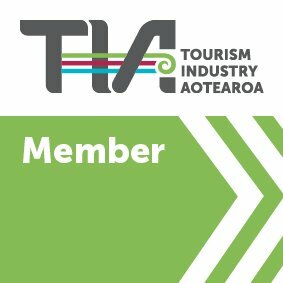 We are proudly Qualmark endorsed, New Zealand tourism’s official mark of quality, and offer a large selection of late model well maintained and serviced bikes. 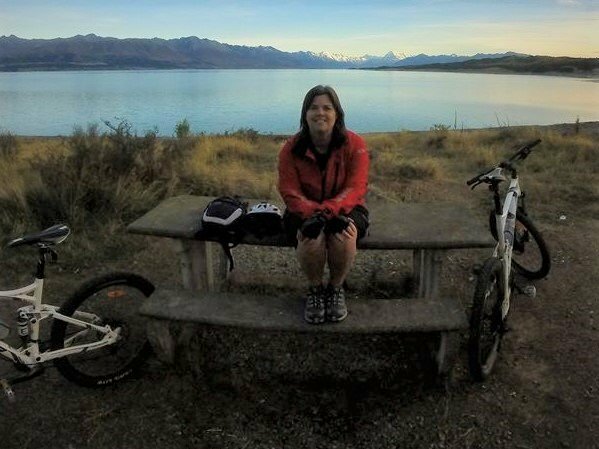 We also understand that organising a cycle holiday or adventure tour is a big job, which is why we work hard to make the process as simple and stress-free as possible. Whether you’re looking for bike rental for a weekend or a grand cycle tour of the whole country, we’ll talk you through all your options, drawing on our extensive cycle and touring knowledge to give you the best possible advice. On the phone, by email or in person at our Auckland or Christchurch branches, we’re always happy to listen to your questions and share our recommendations. Getting you out into the Kiwi outdoors and having fun is what we’re all about. We’ll listen to your wish list and help you tailor a trip that meets your individual requirements – whether that’s a guided cycle tour, a self-guided trip or a combined campervan and bike rental – ensuring you’ll return home with beaming smiles and memories that last a lifetime. …So all you have to do is enjoy the ride. 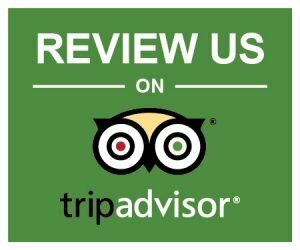 From sound advice on the right bike rental to accommodation bookings and transport logistics, we’ll happily take care of all your trip requirements. And with branches in two major cities – Auckland and Christchurch – along with depots across both islands, we’re handily located for most riding destinations. As dedicated cyclists we know that the equipment you use can make or break a trip. 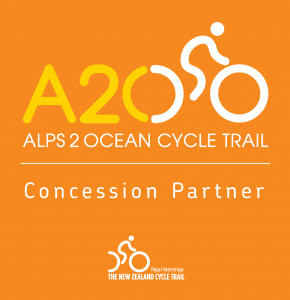 With the largest selection of fully-serviced bike hire gear than any other cycle operator in New Zealand – and leading brand names including Specialized, Surly and Avanti – we’re sure to have the best bike for your journey. 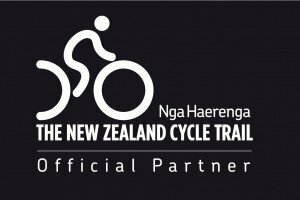 At Natural High we’ve clocked up thousands of kilometres pedalling around New Zealand (and further afield too). So when it comes to helping you find the right gear, the best trips or the most extreme off-road terrain, we’ve got our finger firmly on the pulse. Ask us a question and we’ll happily share what we know. We think we’re incredibly lucky to have some of the world’s most beautiful scenery right on our doorstep and we’re working hard to keep it that way through our daily actions. Limiting our paper use, composting our food waste and riding to work everyday are just some of the ways we’re helping conserve our natural playground. You can read more about our sustainability policies here. 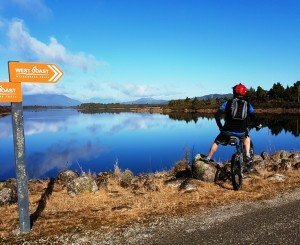 Ready to start planning your next New Zealand outdoor adventure? 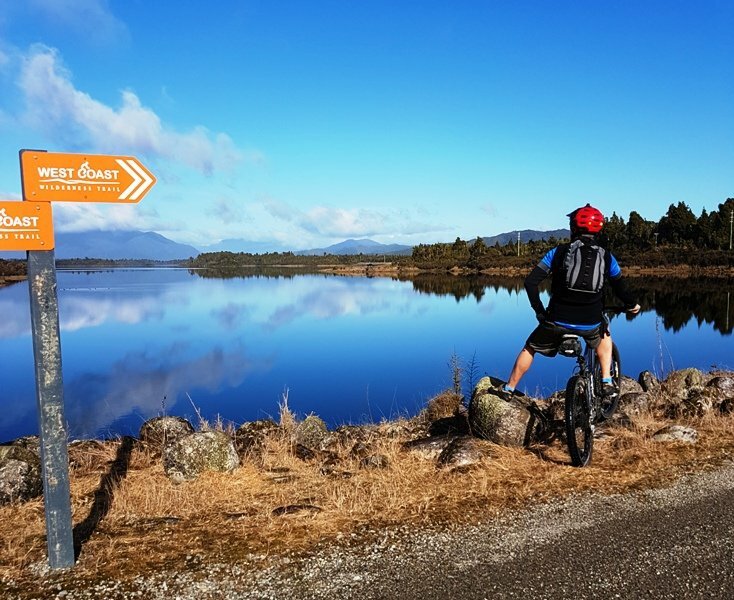 Find bike hire, browse our range of guided cycle tours, take a peek at our self-guided cycle tours, or check out campervan hire.